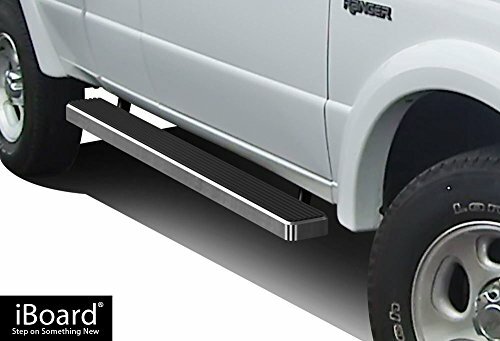 100% Brand New In StockCustom Designed To Fit Your Specific ApplicationQuality Construction Allows Weight Up To Higher 500lbs On Each BarSmooth, Safe Step In Any Weather Condition With A Slip-Resistant Plastic Step PadProvide Some Side Protection / Brush Guarding For Off-Road UseImproves The Accessibility & Appearance Of Your Truck / SUVInstallation Guide & All Necessary Mounting Hardware Are IncludedProfessional Installation Is Always Highly Recommended* Technical Tips: Most Any Step Bar / Running Board Will Provide The Weight Capacity You Need For Regular Use. 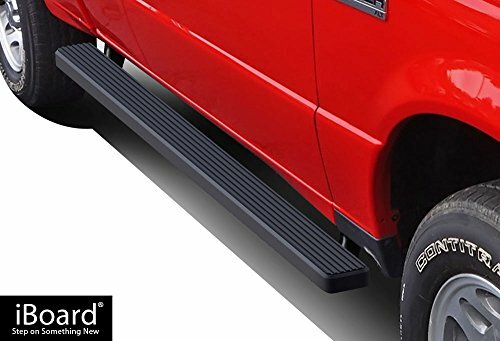 Keep In Mind Who You Frequently Bring Along In Your Truck Or Suv, And The Weight Rating Of Step That Will Meet Those Needs. 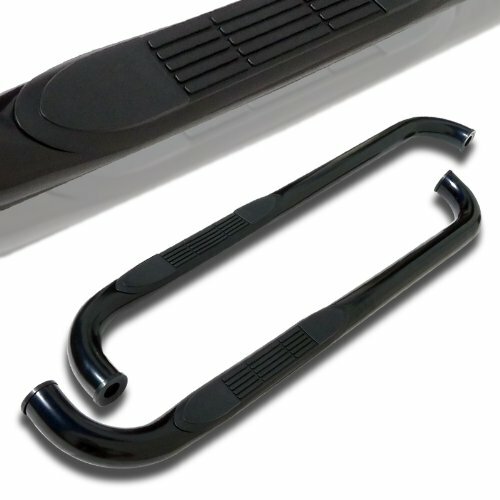 ** Installation Notes: Beyond Ease Of Installation, This Mounting Design Provides The Sturdiest Possible Attachment For Your Side Steps By Using Pre-Existing Holes. 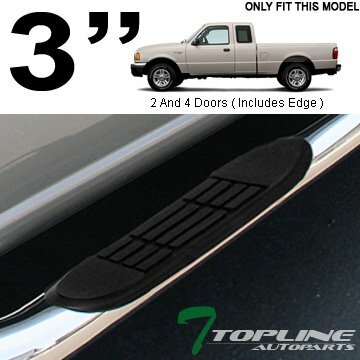 Automakers Put These Mounting Holes In Most Vehicles To Accommodate Their Own Brand Of Side Steps. Minor Drilling May Be Required For Installation. 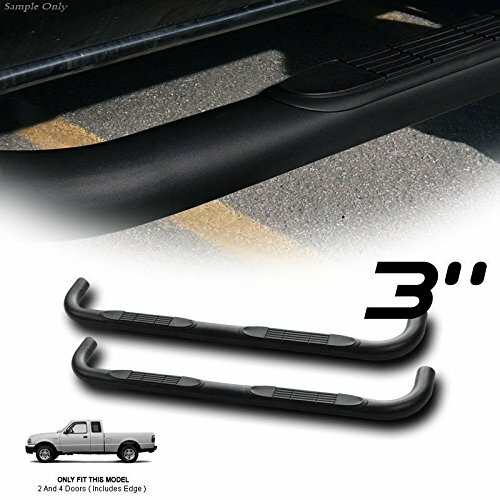 Spec-D Tuning SSB3-RAN98SCS2-WB Ford Ranger Super Cab 3"
Brand new in original packaging. Exactly the same as shown in the picture! Comes with both running boards. 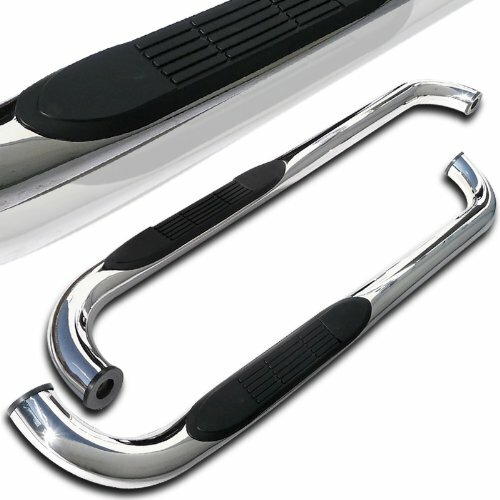 3" heavy-duty black coated stainless steel round tube with non-slip poly step pads. 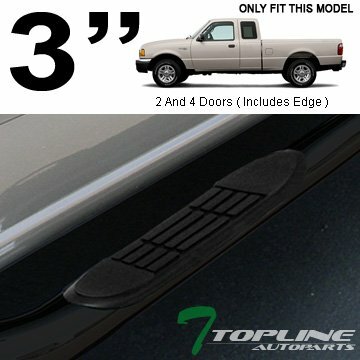 Add an extra safety and security as the side protection for your vehicle. Weight capacity : 500lbs. Come with installation instruction, mounting bracket and hardware. Professional installation highly recommended. 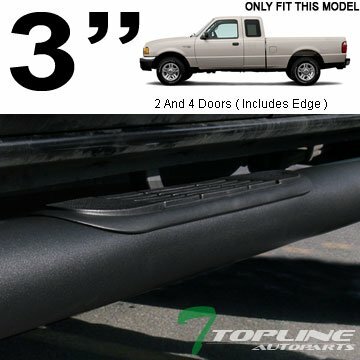 Fitment : 98-11 Ford Ranger SuperCab models only. 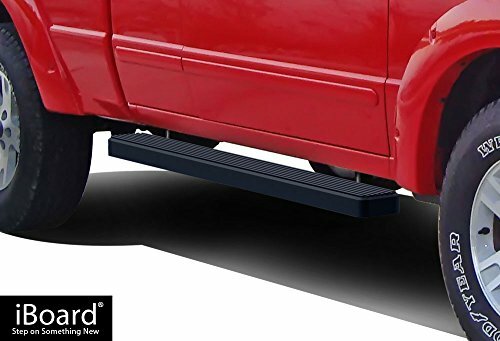 100% Brand New In Stock, Item Exactly As The Picture Shown Quality Construction Allows Weight Up To Higher 500lbs On Each Bar Smooth, Safe Step In Any Weather Condition With A Slip-Resistant Plastic Step Pad Provide Some Side Protection / Brush Guarding For Off-Road Use Improves The Accessibility & Appearance Of Your Truck / SUV Installation Guide & All Necessary Mounting Hardware Are Included Professional Installation Is Always Highly Recommended. 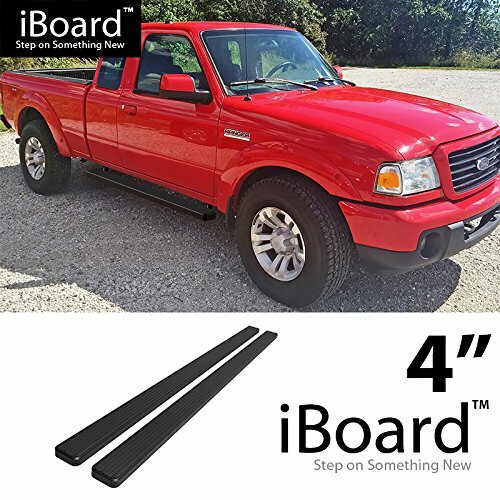 Copyright © Wholesalion.com 2019 - The Best Prices On Ford Ranger Running Board Online.